Kansas City, MO – The Kansas City Chapter of Mothers in Charge will observe National Crime Victims’ Rights Week (April 6th -12th) by canvassing the neighborhood of 27th and Prospect Avenue on Monday, April 7th from 6-7:30pm. “We would like to invite all other organizations, victims’ families and community members to come out on Monday, April 7th and join us as we canvass the neighborhood to promote our efforts for a cease fire during National Crime Victims’ Rights Week and beyond,” stated Temple. Also, on Thursday, April 9th starting at 10am, VictimNet will host a rally and resource fair that will be held in front of the Jackson County Courthouse, 415 E. 12th Street; Kansas City, MO. 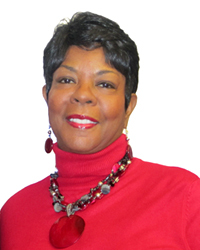 Attendees will include Dorothy Johnson-Speight, Founder and Executive Director of Mothers in Charge from Philadelphia. Mrs. Johnson-Speight along with other grieving mothers founded Mothers in Charge after the tragic murder of her son in 2001. For more information about Mothers in Charge, visit mothersincharge.org.